The XXR 521 wheels utilize a classic mesh design with a unique stepped lip. The clean cut mesh spokes are a timeless style that looks at home on a Nissan 370Z, or BMW M3. The real metal rivets are removable and replaceable. Custom paint them, or pick up a set in Red, Blue, Gold, or Gloss Black for total customization! 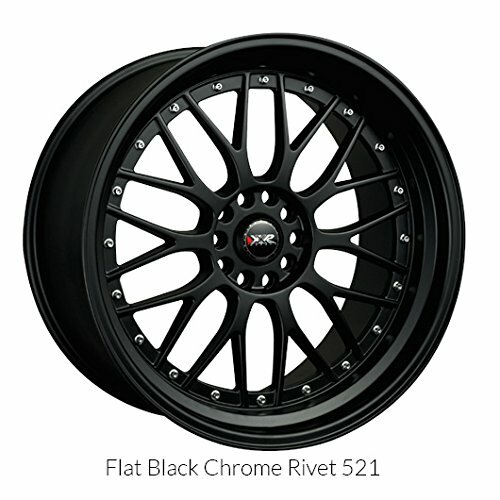 XXR 521 wheels are available in 16" 17" 18" and 20" sizes with staggered widths available. If you have any questions about this product by XXR, contact us by completing and submitting the form below. If you are looking for a specif part number, please include it with your message.